Ever wanted to enjoy the relaxing sound of water in your own backyard? 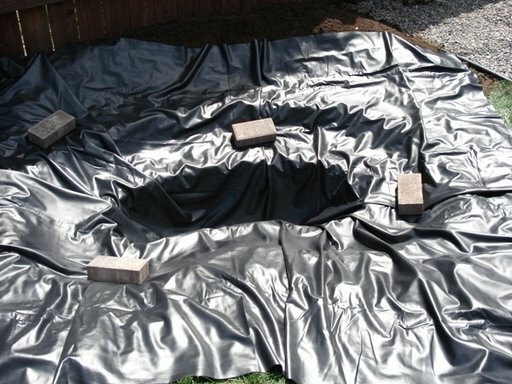 A backyard pond kit might just do the trick. Leah and I had purchased a small fountain and put it in the landscaping, the water sound just wasn’t enough from this small fountain. 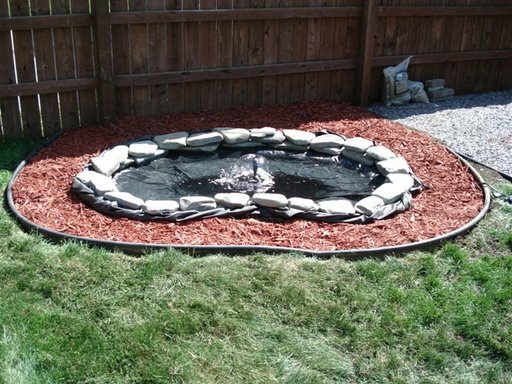 For about the same price we were able to get a pond kit, mulch and landscape rock and a much better water sound. Also, it is much more visually appealing. 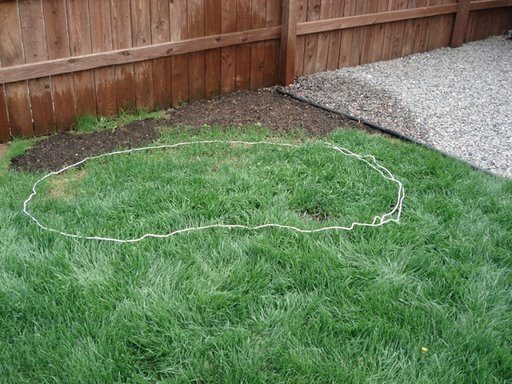 On day one of the project Leah laid out the shape of the pond with the rope that was provided. She removed the sod from that area and laid out the second tier of the pond. The digging then commenced, and within one day the hole for the pond was completed and lined with playground sand. On day two Leah laid the liner in the hole and set the pump and light in the bottom of the liner. She also dug in the black edging and removed the sod from where the mulch would go. The third day was mostly finishing the landscaping around the pond. The landscape stones are Tumbled Bluestone from a local landscape supplier. Tumbled Bluestone is about 3 times the cost of your standard retaining wall block but the natural look is worth it. By the end of day three all that remained to be done was add some perennial plants and complete the electrical. About 7 perennials surround the pond with a mix of colors once they are all flowering. 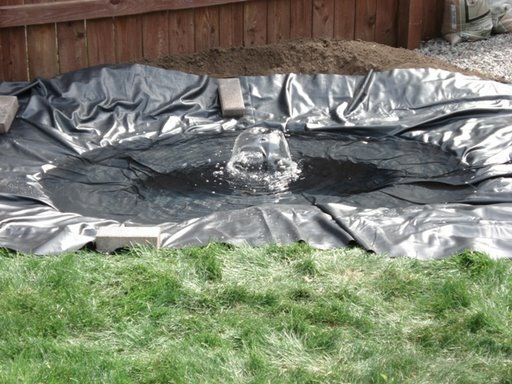 For about the same amount of money as some of the backyard fountains you too could have a visually appealing and very relaxing backyard pond. 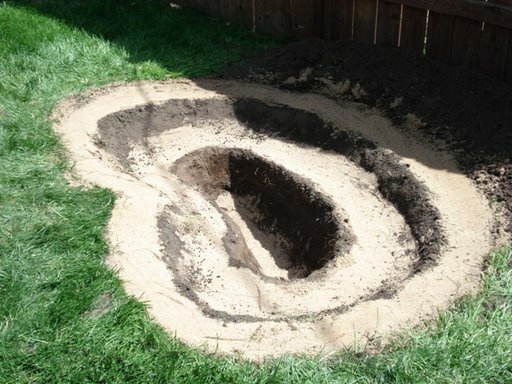 It really did make out backyard the oasis we wanted. We enjoy being out in the backyard more than any other place at our home. We thank Mary and her hard work for helping us find our home and making the move and first year stress free. Mary and Buyers Real Estate Group are top notch!